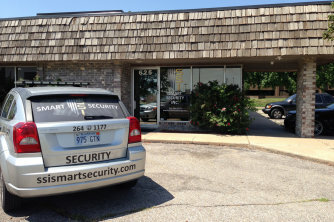 Smart Security Inc.: A full service security and protection company. Personal Welfare Checks - Worried about a loved one? Can't get a hold of your child who is home alone? Call us 24/7 and we will check on them. Your cost is only $25.00 per check. Alarms and Cameras - You can buy peace of mind with our alarm installation, service, monitoring, and quality Closed Circuit Cameras. Loss Prevention and Investigation - We provide the widest variety of security and investigative services in Kansas. Someone is always available to answer calls with our 24/7 dispatch. Smart Security doesn't just provide peace of mind - we provide RESULTS!